We can’t go on blaming mothers for what happens in their births. The conversation is changing from when our mothers/aunts/friends gave birth, and I want to let you know that it’s OK to ask questions, it’s OK to not be “super laid back” about your upcoming birth, and it’s OK to choose a different birth attendant if you have any nagging feelings about the one you have currently. It’s OK if you feel that you’re being a nuisance. It’s OK if your current birth attendant gets upset that you choose someone else (but really, they won’t. It’s business). Sometimes we’re so worried about being liked that we silence our questions, or let them float around in our minds for fear of coming off as controlling, a worrier, or untrusting. In short, we want to be a “good patient”. But girls, you are on your way to your first task of being a good mother. “When Autumn comes to New Mexico, the aroma of green chile being roasted fills the air. Locals buy big burlap sacks of chile which are poured into a big drum that turns over a fire until the chile is charred (which then allows the skin to be peeled off). One day a newcomer to New Mexico stopped at the Grocery Emporium on Girard Boulevard and bought a bag of roasted chile. The aroma made her mouth water all the way home. Using her chile, she prepared a traditional New Mexican dinner. A few bites into the meal, her eyes began to water and her tongue burned painfully. 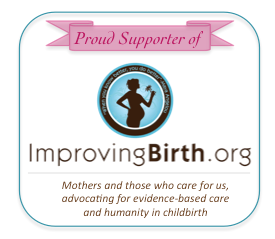 Maybe you want a natural birth; do you know your birth attendant’s cesarean rate? Or that of the hospital you intend to deliver in? Have you asked their rate of episiotomy, or under which circumstances they might perform one? What about inductions? What if you’re still pregnant at 41 weeks? What will they do if your induction “fails”? What is the next step? Or your midwife; How long will she be with you during labor? Will you get to meet her Birth Assistant prior to your labor? Does she help with pain-coping or should you look to other labor support? What does she recommend to get labor started if you are nearing 42 weeks? If you transfer to a hospital, will she come with you? Ask your questions BEFORE your chile is roasted. If you like it hot, and so does your birth attendant, great! Just make sure you’re not the one getting burned. There’s no right or wrong answers here. This isn’t about medicated vs. unmedicated birth; it’s not about vaginal or cesarean; it’s not about hospital vs. birth center vs. homebirth. This is very practical advice that is a crucial first step in your birth preparation, one that you should take very seriously and mindfully. Don’t let yourself wait until you are in your 38th week before you work up the nerve to ask your provider these tough questions. Engage early (and tell your baby to do the same!). Are 5-Minute Long Contractions Normal?